Yesterday „CBA Aset management“ put forward its prospectus in the Comission of financial control. The company plans to increase its capital from 16.3 mln. leva to 20.2 mln. leva by primary public offering to 3 900 000 new shares with 1 lev nominal for one. The minimum price of one share is 2 leva and this price is defined of the Common assembly of the eminent. 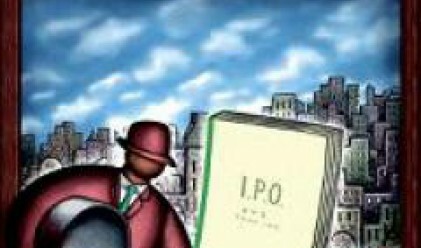 The initial public offering is considered to be successful when it registered 70% of the shares. If the interest in the registration become 2 times more than the offering, tne main shareholders are going to sell up 780 000 of the old shares. „CBA Aset management“AD has 9 shops with square surface over 1 000 kv.m., which are leaders in Veliko Tarnovo, Gabrovo and Ruse. The company plans to use the raised funds for opening a new trade markets and gaining of already existing shops. The assosiation have a purpose to take part in the process of a consolidation of the retail market with the big international companies, who enter in the native market. The expectings for the sector are that in the next 3 - 4 years the companies will cover over 60% from the retail market, like it is in Central and East Europe. „CBA Aset Management“AD is registered on 20 July 2006 with the main purpose to consolidate and unify the business of the firms : „CBA Gabrovo“, “CBA Veliko Tarnovo“ and „CBA Ruse“. The manager assosiation, that operate with 9 super markets with 10 140 kv.m. area is a leader in North and Central Bulgaria. The turnover of the company for the first six months of this year is 20.1 mln. leva, and the profit- 467 000 leva. The main shareholders in „CBA Aset Management“ are Krasimir Gardev and Radoslav Vladev with 44.55% for one and Ivaylo Marinov with 9.90%. Top managers in the emission are „UniCredit Bulbank“ and „Somoni Financial Brocerige“.